Each month, I set aside a chunk of time to reflect on the previous month: memorable moments, lessons I learned, how I spent my time, how I’m different, who/what I’m grateful for, improvements for next month, and goals to work toward. I want to be more intentional in my personal development this year, and posting each month serves as a way to help keep me accountable. If you have any big lessons you learned this past month, feel free to share them in the comments! Sometimes no plans are the best plans. Don’t get me wrong, I definitely can be a planner. But if I don’t leave room for spontaneity I can easily start to feel trapped and overwhelmed. I need adventures, even if they are only little ones. The Fourth of July was a perfect example of planned spontaneity! Act before you speak so your actions will be louder than your words. I sincerely want my actions to reflect and give credibility to what I say. And I’ve come to learn that an important part of that is taking responsibility for and owning up to my mistakes, not just the things I excel at. Having a “yes attitude” breeds fearlessness. Whether it is a simple thing like trying a new yoga pose, getting a new piercing, or booking a ticket halfway across the world — taking big steps in the small things makes the big things seem a bit smaller. 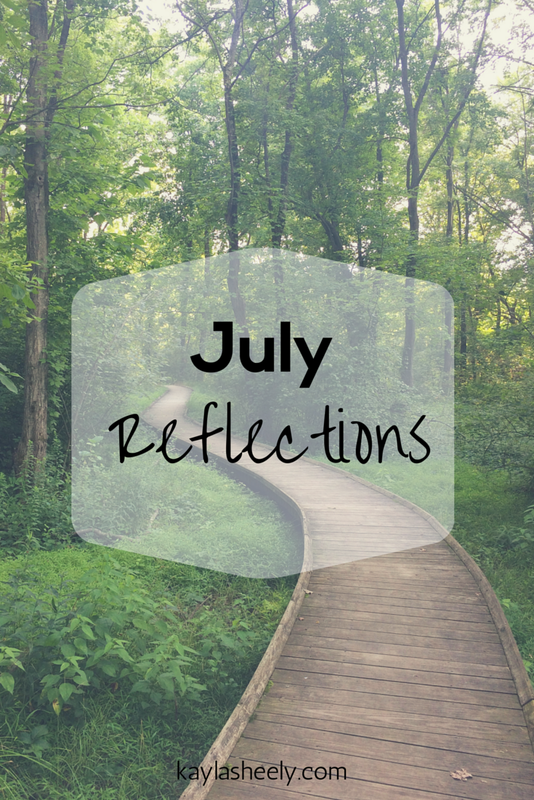 What did July teach you? I’d love to hear how you are growing!